Would you believe this girl is from Wednesbury in the West Midlands? She sounds like she could be from the backwoods of Kentucky or the Mississippi Delta. 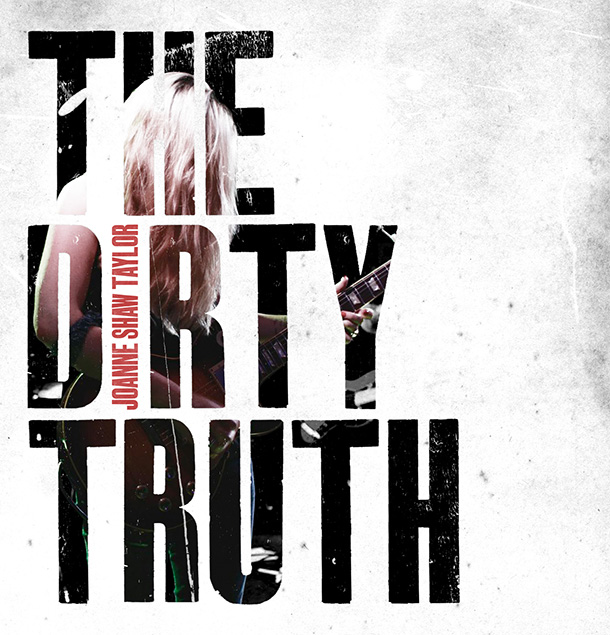 With a voice like she gargles on Jack Daniels and razor blades she plays a dirty, mean blues guitar. Released in 2014, Joanne admitted she was aiming for a more full on, denser, edgier, rockier feel to this album. Some fans have not liked this so much, but there again, many have. This is a kick posterior copper-bottomed quality hard blues rock album. Recorded, apparently and suitably, in Memphis. Kicking off with the storming guitar rocker, "Mud Honey", the tone is set for the whole album. Although the album is studio recorded, there is an almost "live" feel to it, as if everything has been recorded in one take. Whether that is the truth or not, it certainly sounds like it. 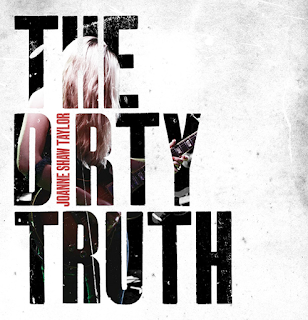 "The Dirty Truth", the title track, is a rumbling, slow burner with just magnificent blues guitar on it and, of course, Joanne's voice is just incredible. She is the real deal. There a lot of these female blues rockers around at the moment - Susan Tedeschi, Joanna Connor, Grace Potter and, of course, the grand old lady of the blues, Bonnie Raitt. 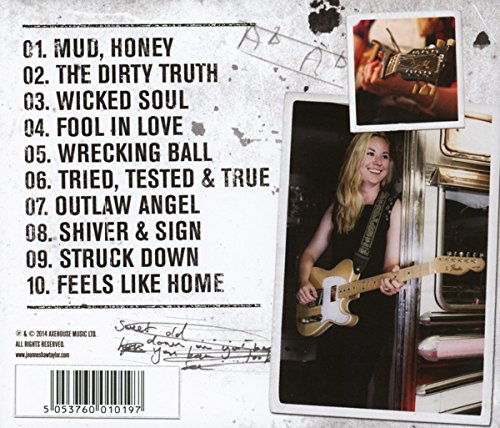 While somebody like Bonnie certainly had her soft moments, Joanne Shaw Taylor ain't no soft, fluffy lady, even when singing of love, such as on the slow, emotional but tough "Wicked Soul". Her throaty fire always burns hot. She doesn't let up. Not her style. Great guitar on this one too, as indeed on most of them. "Fool In Love" has a nice, less "in your face", slightly more melodic vibe to it and Joanne shows she can soften the tone just a little bit. The song still rocks though. Another impressive guitar part half way through. "Wrecking Ball" (not the Bruce Springsteen song of the same name) has a sort of funky drum rhythm to it and "Tried, Tested And True" is another comfortable, slow sad one with Joanne giving it her best Janis Joplin. "Outlaw Angel" sees a return to upbeat, rocking blues. "Shiver And Sigh" has a great bass and drum intro before Joanne's guitar joins in and then her soulful vocal. "Struck Down" has a riff from somewhere that I can't quite place, a punk song from way back, maybe, The Vibrators, possibly. No matter. "Feels Like Home" is a bit staccato like "Wrecking Ball". Personally, I prefer the slightly subtler, more melodious tones of her 2009 debut, “White Sugar”, but that is just my opinion. This is still a good album. The live cuts are delivered pretty true to the studio versions. The sound quality is good on them too.What you don't get with quite a lot of blues rock material is too much lyrical (or often musical) variation and I have to admit that is true here but a bit like with, say, roots reggae, it doesn't really matter. Play this and it is an invigorating 45 minutes or so.